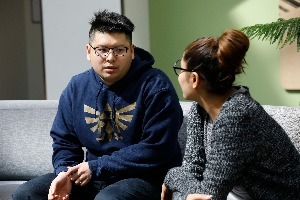 The City University of Seattle Counseling Center is an outpatient counseling center that offers low-cost counseling services and is open to the public. Our counselors are trained to provide professional and compassionate services in a safe, confidential environment. The Counseling Center is staffed by graduate students from CityU’s Master of Arts in Counseling program who are supervised by CityU staff with extensive clinical and supervision experience. Students are counselors in training who are developing counseling skills through coursework and practice. On-site supervision provides opportunity for comprehensive feedback benefiting both the client and the counselor. Since it is a training clinic, the CityU Counseling Center is unable to provide psychiatric, case management or crisis services, but can coordinate service with other providers. Counseling services are open to students and the public. The CityU Counseling Center is subsidized and therefore offers services for a nominal fee – often as low as $5 to $25 per session. For clients who lack adequate insurance coverage, have exhausted benefits or cannot afford co-payments, the counseling center is able to help. The CityU Counseling Center is located at 521 Wall Street within the City University of Seattle campus. It is conveniently located within three blocks of dozens of bus lines. There are no waitlists, and intakes can typically be scheduled within one week. Day and early evening appointments are available, and there is no limit to the number of sessions. To schedule an appointment, please call 206-239-4760.